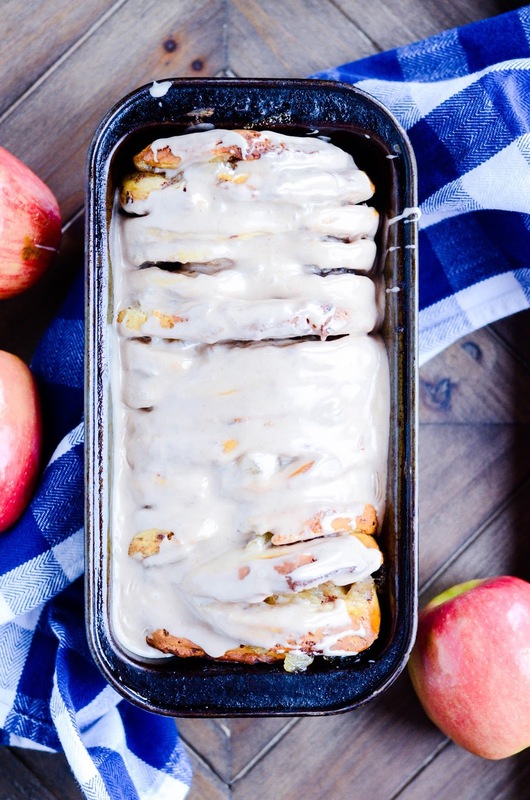 Sweet pull apart bread made with Pillsbury cinnamon rolls, apple pie filling, and topped with a mouth-watering cinnamon icing. I LOVE the simplicity of this recipe. You need only THREE ingredients and about 30 minutes to fill your kitchen with aromatic smells of cinnamon, apples, and-- dare I say it?-- Fall! That's right. It's August and we are launching into Fall baking here on Keat's Eats, and not a day too soon as far as I'm concerned. If the pie filling you bought has SLICES of apples (rather than chunks of apples) use a sharp knife to cut the apples into bits inside the can. You don't need to be precise. Scissors could also work for this step. Flatten the cinnamon rolls using your hands. Ultimately, you want to layer the cinnamon rolls alternately with a small spoonful of pie filling. I found the best way to do this was to make small stacks, and then layer the stacks together in a loaf pan. Bake for 30-35 minutes until a deep, golden brown on top. Whisk together the icings that came with the cinnamon rolls with 1 tsp cinnamon. 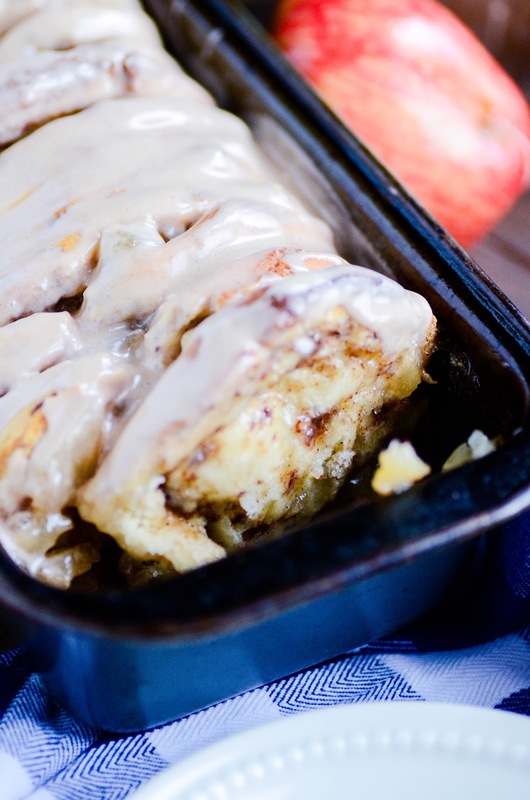 Spread this icing over the warm pull apart bread. Serve immediately.